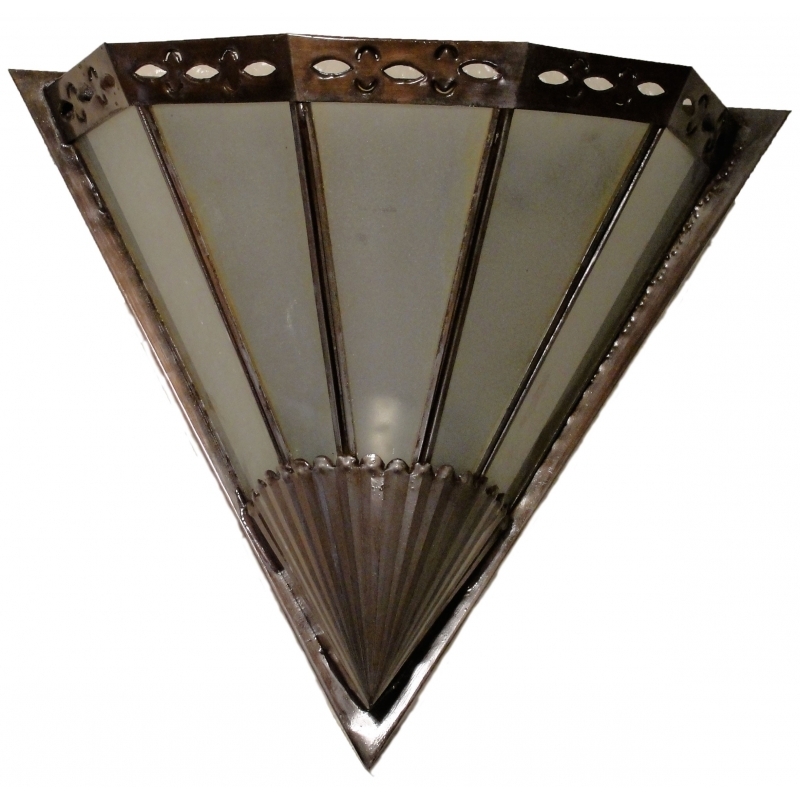 Embossed tin and frosted glass wall sconce. Since each wall sconce is hand crafted, aged tin finish may vary slightly from what’s pictured here. Our unique wall sconces complement any southwest or rustic decor. Embossed tin and frosted glass wall sconce. Since each wall sconce is hand crafted, aged tin finish may vary slightly from what’s pictured here. Our unique wall sconces complement any southwest or rustic decor. All of our Mexican wall sconces are authentic creations handmade by artisans in Mexico.